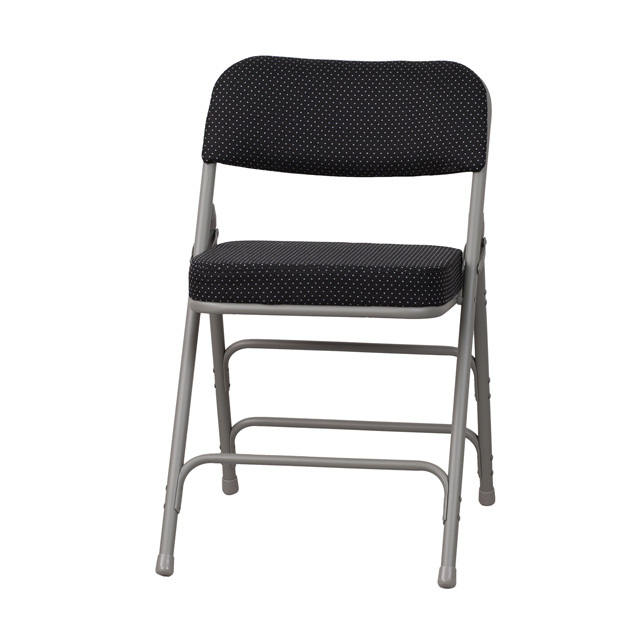 This classic metal folding chair with fabric upholstery is a convenient option for everyday use or when you need extra seating in an indoor or outdoor location. 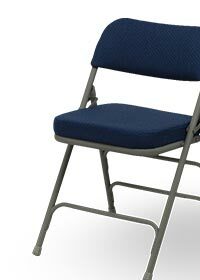 The comfortable seat and back are padded with 2.5" of foam and upholstered in fabric that complements the frame finish. Its premium 18 gauge curved steel frame is triple braced and Double Hinged with leg strengthening support bars to hold up to 300 pounds. These chairs are portable and fold compactly to transport and store. Non-marring floor glides on the legs protect your floors by sliding smoothly when you move them. Designed for residential and commercial use, these attractive chairs are a smart seating solution for your next business meeting, family gathering or special event.